Four first-year U of T students won Loran Scholarships, one of Canada’s most distinguished university awards. 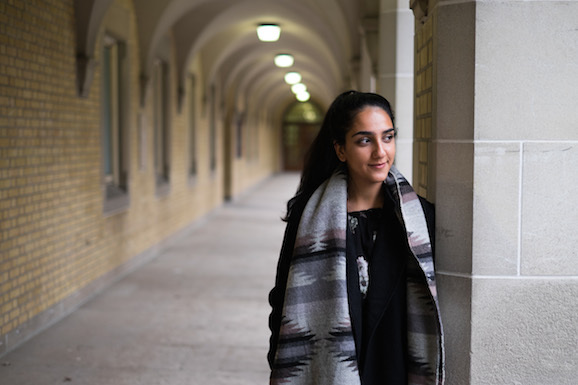 They beat the odds to get here, and now they are making a mark at U of T.
Out of more than 4,000 applications to the prestigious Loran Scholarship last year, only 31 were picked. And four of last year’s winners are now at U of T: Devon Bourgeois, Aidan Harold, Jack McCrossin and Sayeh Yousefi.